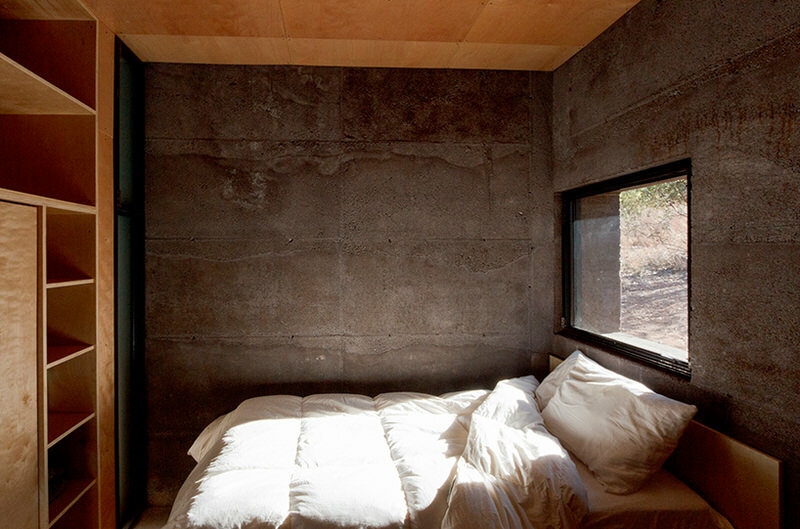 In geological terminology, a caldera is a collapsed volcano dome and this remote dwelling known as Casa Caldera was constructed using a material derived from crushed basaltic lava known as red scoria, which is then mixed with cement and compacted to form the walls. 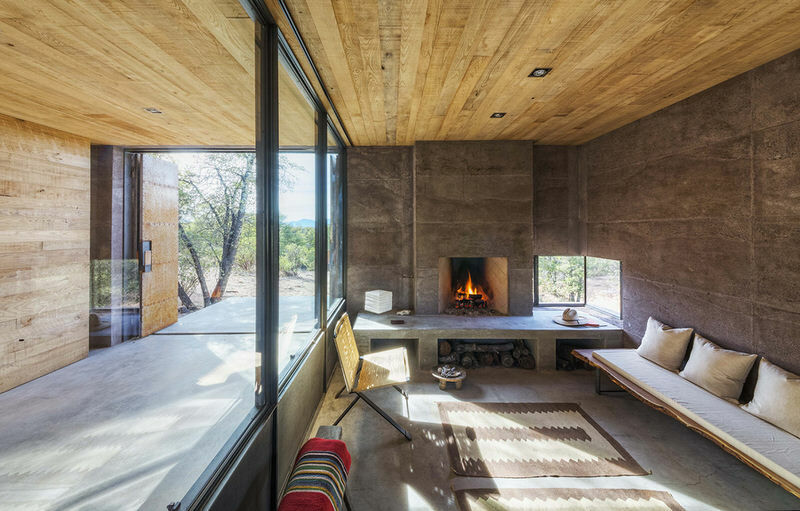 DUST refer to this technique as lavacrete and consider it a new aspect of the vernacular, allowing the walls of Casa Caldera to blend remarkably well with the surrounding geology. 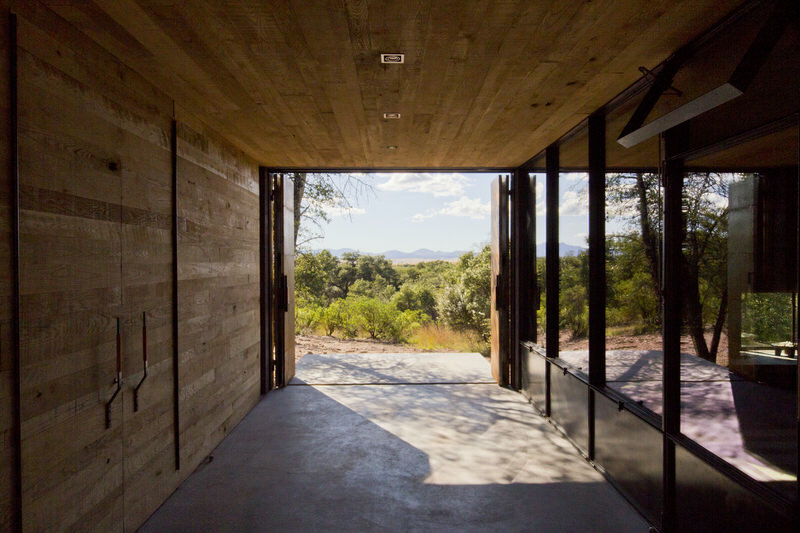 Casa Caldera is situated 15 miles from the US-Mexican border in the San Rafael Valley, Arizona. 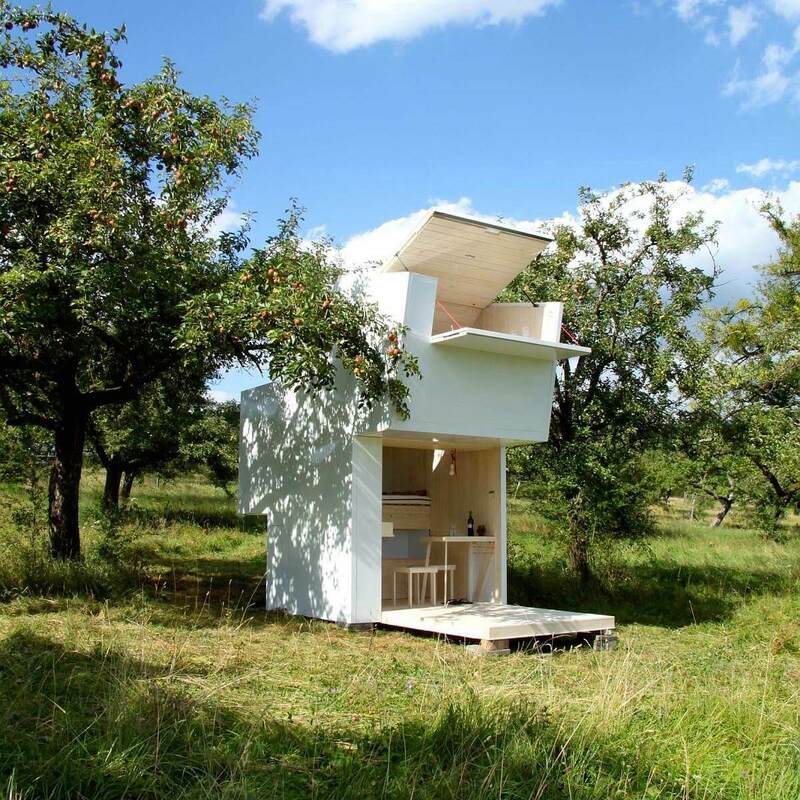 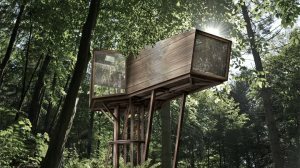 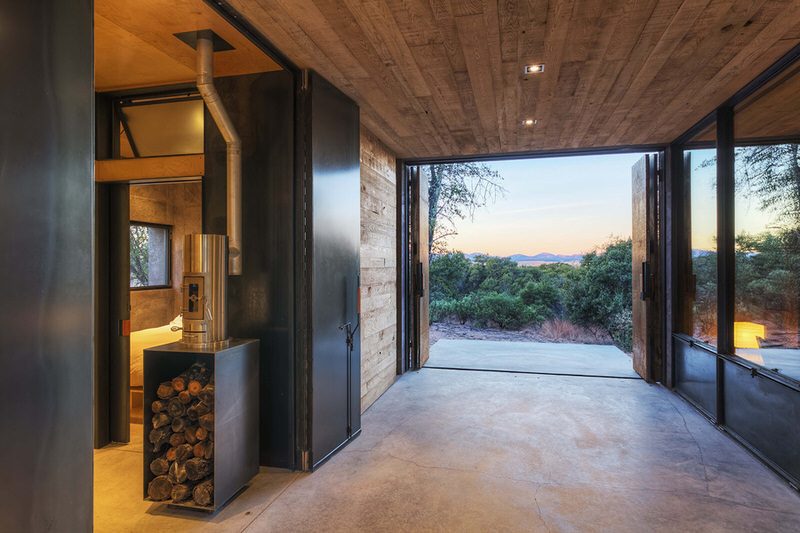 It is completely off-grid and as you might expect it is equipped with very sturdy looking metal security doors. 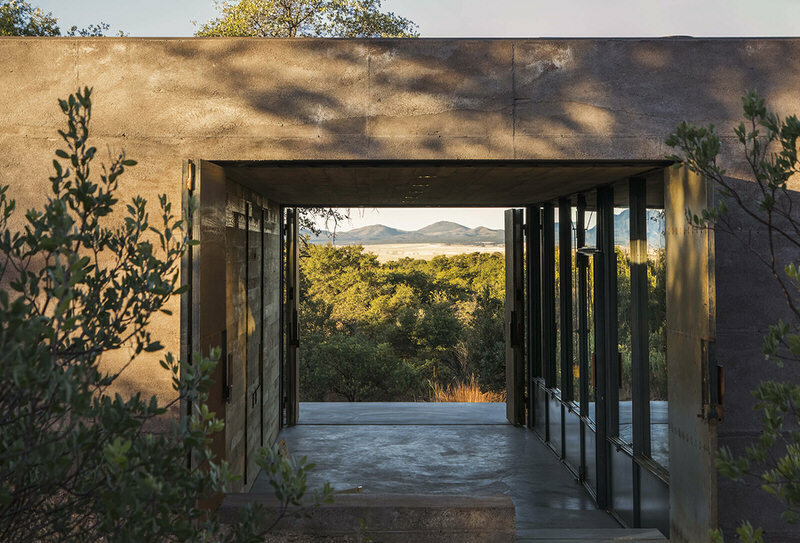 These are bi-folding and reveal a central, sheltered passageway which both provides an outside living area, and passively cools the interior of Casa Caldera by encouraging through-breezes. 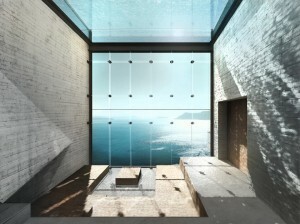 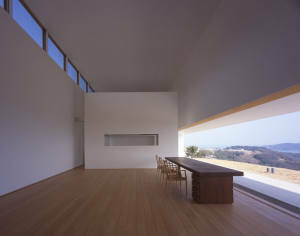 The house is also kept cool via thermal offsetting within the 18 inch thick stone walls. 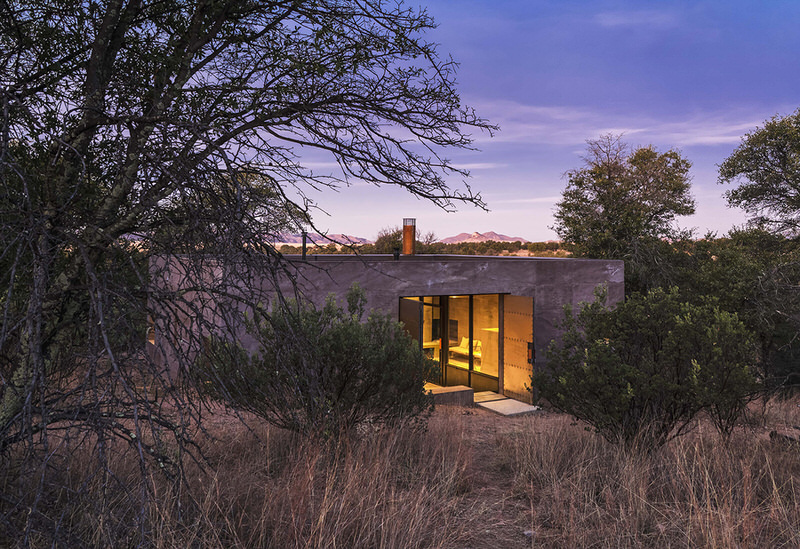 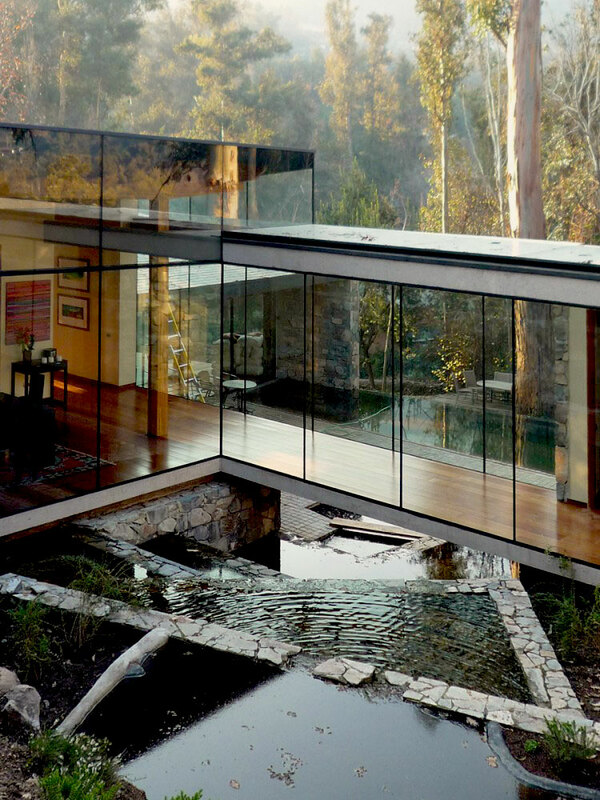 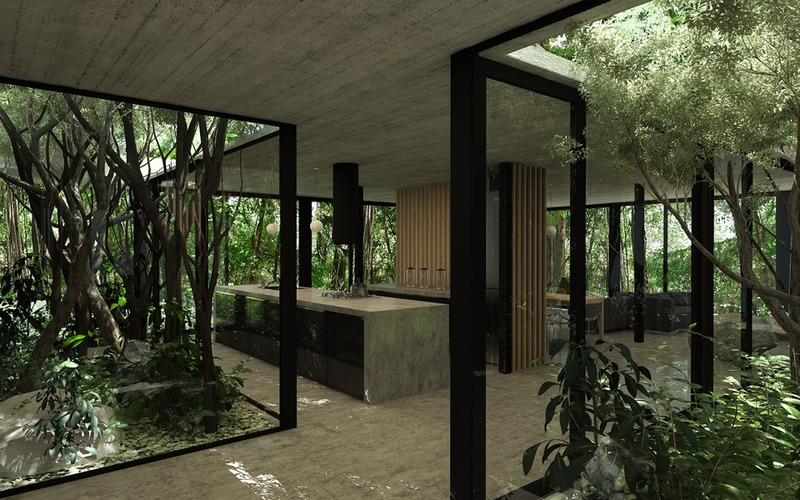 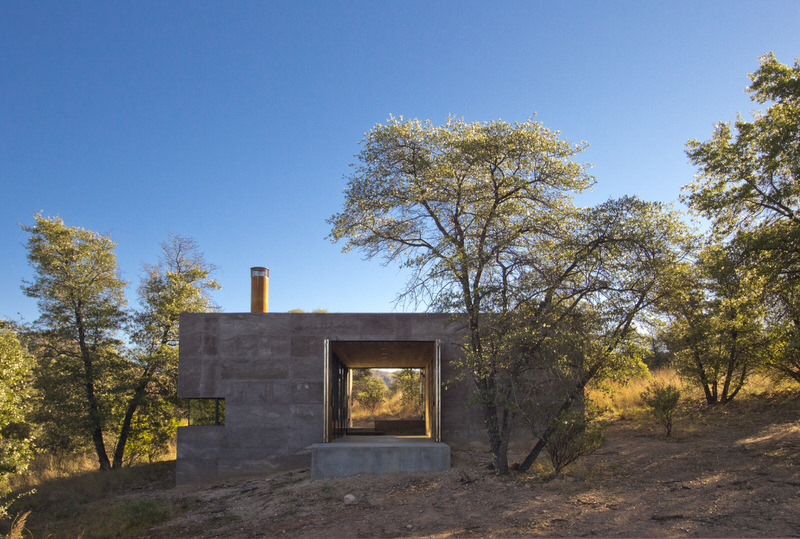 This central channel essentially divides the indoor space of Casa Caldera in two, a glass walled living area with kitchen on one side, and a bedroom on the other that is more privately walled with timber. 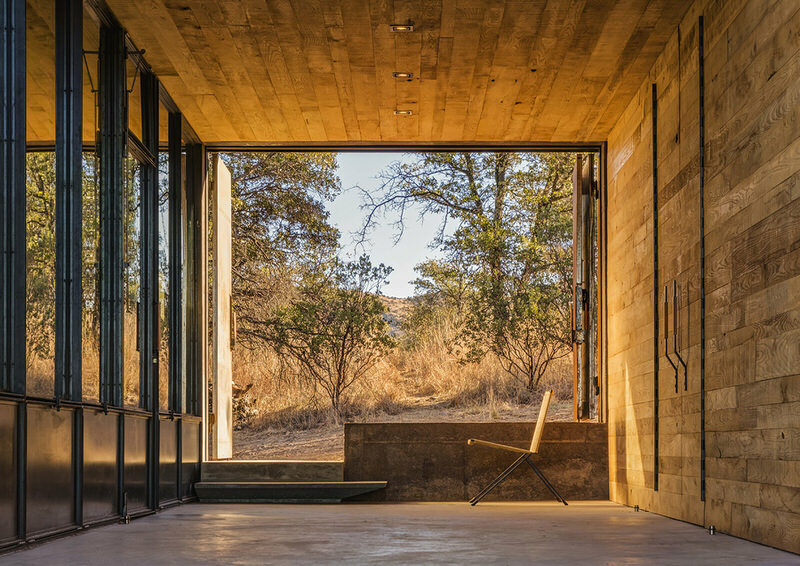 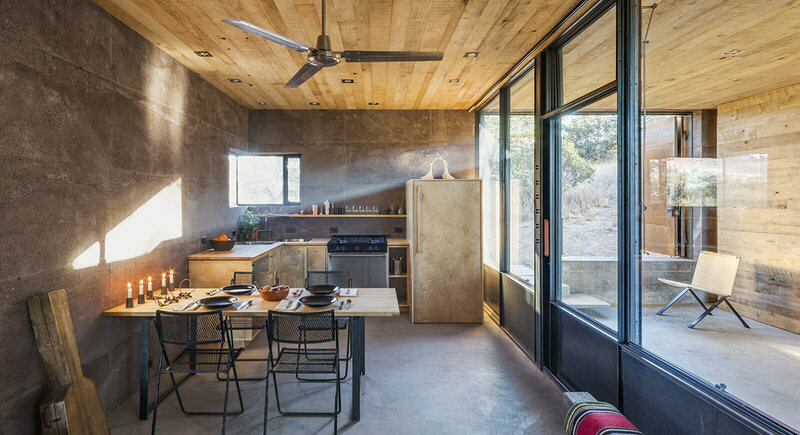 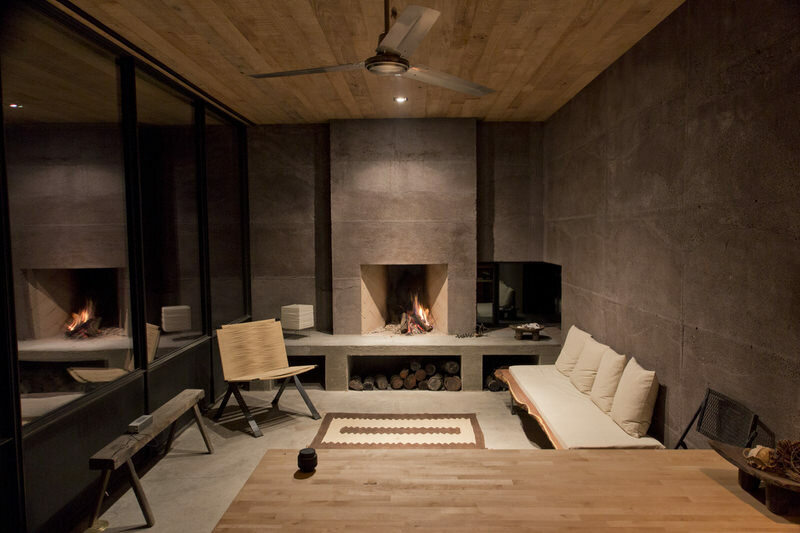 This timber wall features built-in storage within the bedroom while all other interior walls of Casa Caldera bear the same ‘lavacrete’ finish as the exterior of the dwelling.